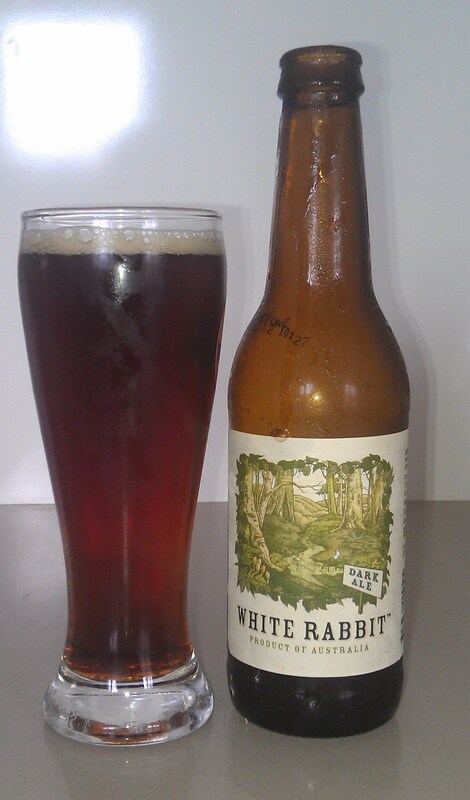 This is the second last beer review for this summer, and it’s brought to you by White Rabbit Dark Ale. This little beer proves the Victorians don’t always get it wrong. It’s a rich dark colour, hints of caramel on the pour. Not much head at all, which isn’t surprising since it’s more fizzy than carbonated. Not many bubbles, and it goes down very smooth. It’s a little watery, but otherwise not too bad. Very little after taste, which makes it a good session beer. It’s been a bit cooler up here on the Ridge, and this is the sort of beer I would enjoy in the cooler months. If you like Kilkenny, you should give this one a go. It’s not as creamy, and a little more bitter, but not bad all the same. I’m looking forward to giving the White Ale a go, though I’ll save that one for next summer. Next week marks the last official week of summer, which means it’s also the last Sunday Sesh until the weather heats up again. I’m still open to suggestions for a beer to finish off the summer with, so feel free to email or add your suggestions in the comments.